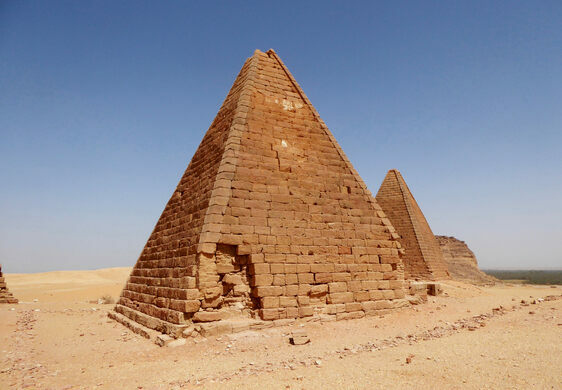 Weathered pyramids spike upward amid sweeping stretches of golden desert sand. They stand in the shadow of Jebel Barkal, a small butte that was considered sacred thousands of years ago. Remains of an abandoned coral city. The Egyptians, then later the Kushites, transformed the 322-foot-tall sandstone monolith into a trove of architectural treasures. Roughly a dozen pyramids are scattered around the base of the mountain, as are the ruins of temples, statues, and hieroglyphics. One of the temples was dedicated to the god Amun, who was believed to live atop the butte. The Egyptian Pharaoh Thutmose III first extended his empire to include Jebel Barkal around 1450 BC. Later pharaohs and Kush rulers oversaw the construction of the many pyramids that still stand around the landmark. The Kushites restored the neglected temples and continued building more structures around the base of the butte. But in the many centuries since the Kushites ruled the land, the stately pyramids have fallen into disrepair. The temples are little more than fragmented ruins, partially buried beneath the sand. 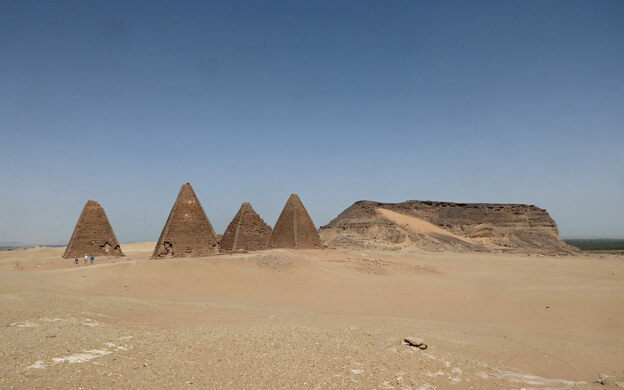 The structures at Jebel Barkal are among the many pyramids that dot the Sudanese landscape, as the country has more than twice the amount of pyramids as Egypt. 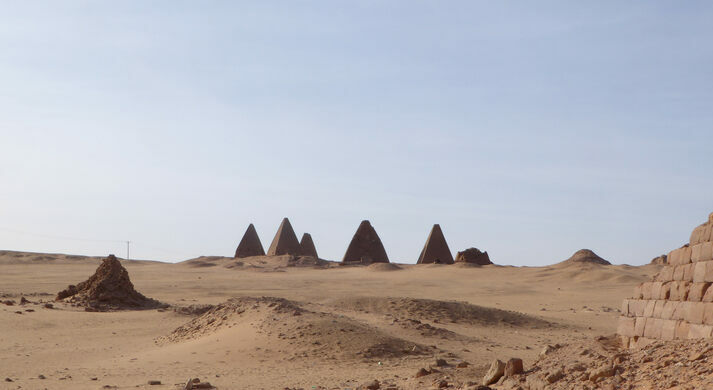 However, many of these sites are far off the typical tourist track, meaning those who take a trip to Sudan will likely have these monuments all to themselves. 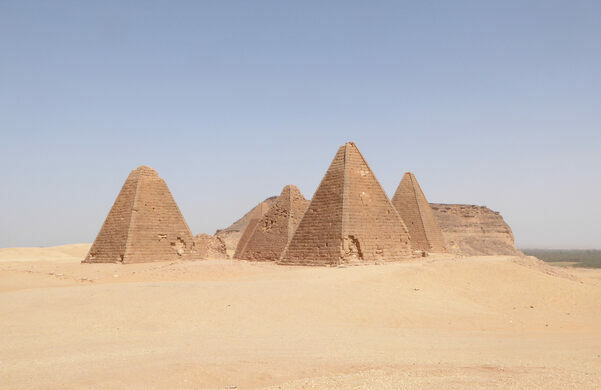 The pyramids of Jebel Barkal are within walking distance from Karima city center. A remote monument to one of the fiercest battles fought by the Victorian British Army. Every Friday, Sufi dervishes whirl around the tomb in a trance-like state as part of a sacred ritual called dhikr.